Yudonosan Stay | Immerse yourself in the deep history and ancient rituals of Mt. Yudono, the most sacred site of the Three Sacred Mountains of Dewa and the last part of a sacred journey or rebirth by the Yamabushi Mountain Monks of Yamagata. Immerse yourself in the deep history and ancient rituals of Mt. 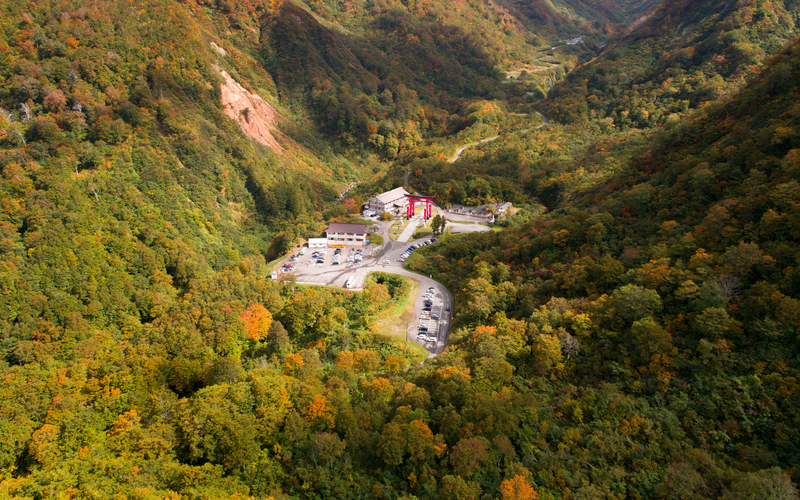 Yudono, the most sacred site of the Three Sacred Mountains of Dewa (Dewa Sanzan) and the last part of a sacred journey or rebirth by the Yamabushi Mountain Monks of Yamagata. Explore this sacred mountain which has stayed true to its history and practices that date back thousands of years. Unlike the other Dewa Sanzan mountains, Mt. 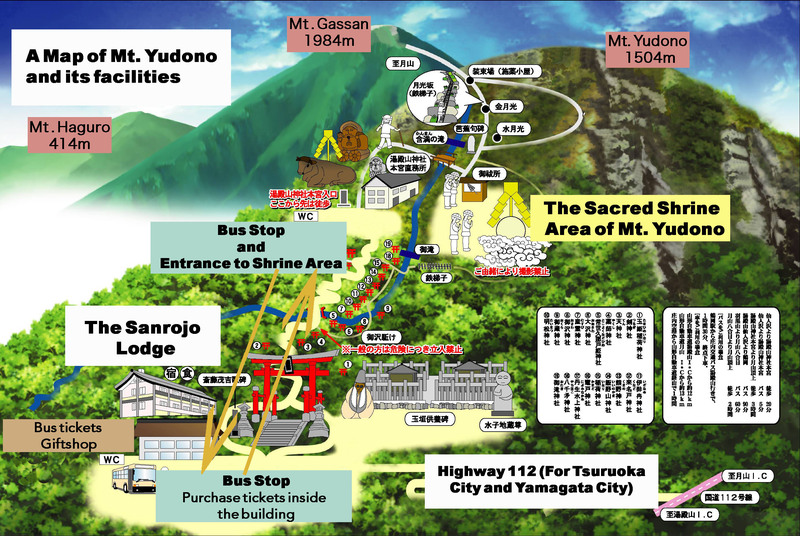 Yudono does not involve a long hike to reach its shrine which makes it more accessible than the other shrines. Visitors to Mt. 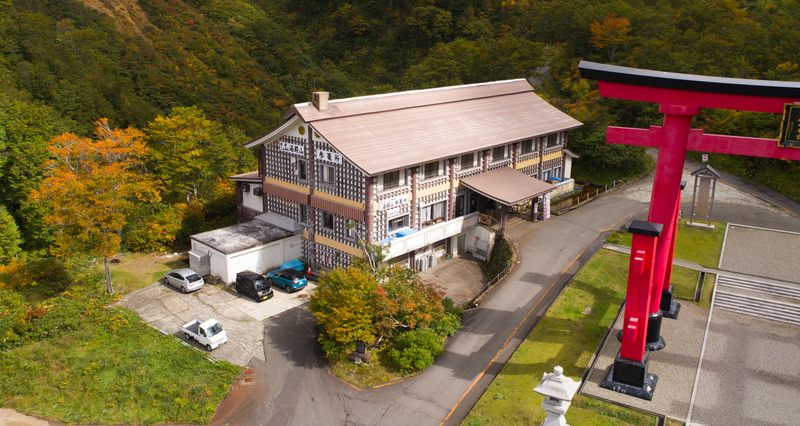 Yudono may enjoy a variety of other experiences here including hot spring baths, shoujin ryori meals (traditional buddhist monk cooking), and even to take part in Yamabushi Mountain Monk training (Gyo Training) under the hidden waterfalls right under the shrine. Please see below for more details. Mt. Yudono is closed during the winter months due to heavy snowfall. It is accessible from April 28th until November 4th. Please also note that unless you are spending the night at the Sanrojo Lodge, you must leave this mountain by 5:00pm as the mountain is closed at this time. Mt. Yudono does NOT have a dedicated public bus line. Please refer to the about page for information about public transportation to here.